BMW has officially revealed a refreshed version of its 7 Series flagship sedan. Unlike a lot of vehicle refreshes, this is not one that requires squinting to find the design changes because the new grille will visibly knock you over at first glance. Basically BMW has taken the kidney shaped grille from the all-new X7 SUV and applied it to the 7 Series sedan. 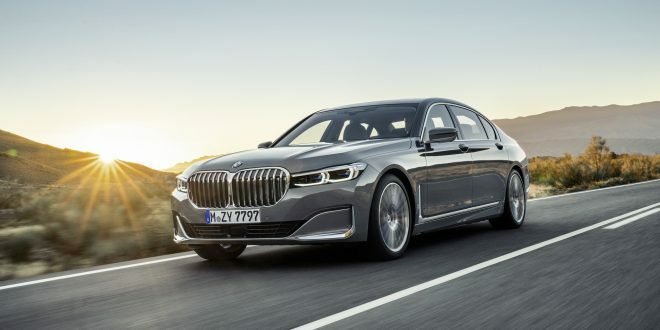 BMW designers say the massive grille is about 40 percent larger than the outgoing 7 Series grille, meanwhile new headlights are slimmer to provide a rather drastic contrast. New front and rear fascias round out the changes, a long with new taillights around back that are more dramatic. The massive new grille may have some functional use to it. BMW is, unsurprisingly, slotting in its new 4.4-liter V-8 that debuted in the 8 Series. This engine is churning out 523 horsepower and 553 pound-feet of torque in 750i xDrive and 750Li xDrive models. 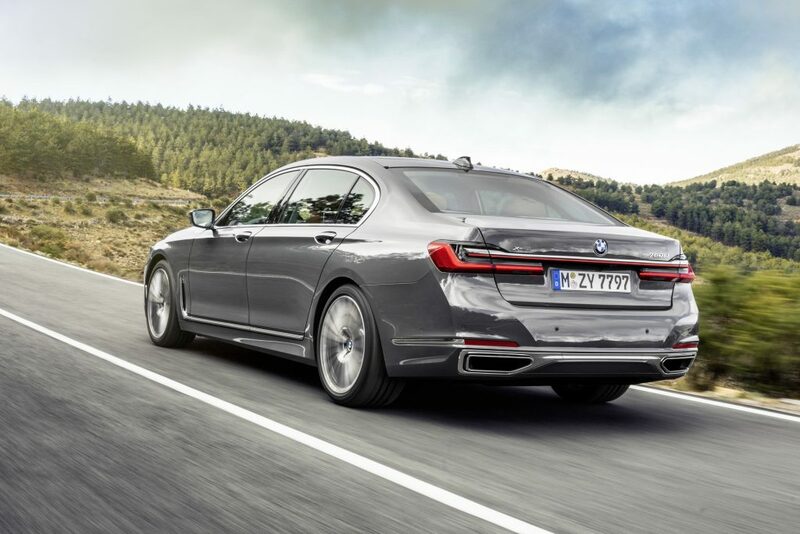 BMW has also updated the 745e plug-in hybrid, which now uses a new inline-six with 388 horsepower and 442 pound-feet of torque and an electric range of 33 to 36 miles per charge. BMW’s updates do not stop inside the 7 Series. The overall interior is quieter and more refined thanks to enhancements to the rear wheel arches and B-pillars, as well as thicker glass on the windows. 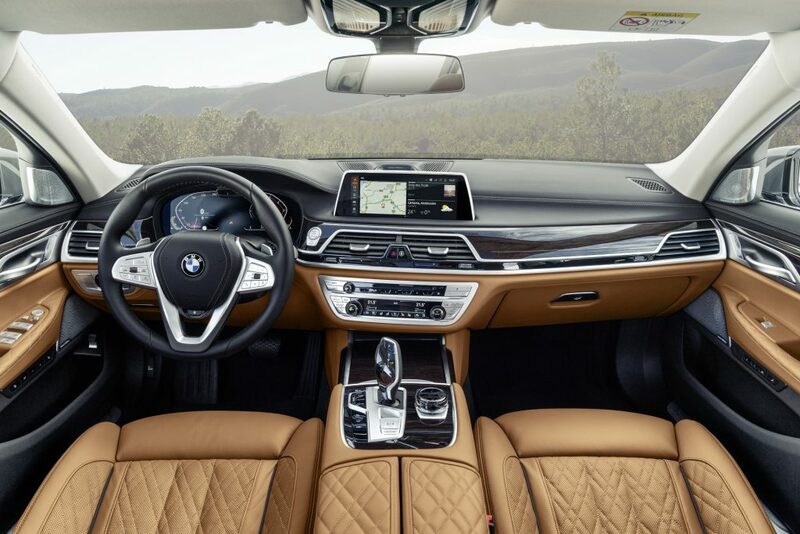 The quieter insides feature a new steering wheel design and BMW’s latest Operating System 7.0 infotainment system; displayed on a new 10.3-inch screen in the gauge cluster and 12.3-inch touchscreen in the instrument panel. Rear passengers can get a pair of 10-inch full-HD touchscreen displays with a Blu-ray player. The redesigned BMW 7 Series will launch later this year globally; just look for the grille on BMW dealership lots. Unfortunately, in this class, there is the S-class and then there is everybody else. The first V12 7-series in the early 90s was a landmark car. This, not so much. I guess since it shares bits with RRs, it adds some additional very high margin sales, so why not? I agree. In this segment you buy S Class or something else.